It is rare for HR to find that they are involved in the procurement of software. That tends to be the domain of IT, as any software that a company decides to purchase would need technical support and have to be able to ‘talk’ to the existing legacy infrastructure. Software can also seem quite daunting for non-techie types – code is a completely different language! When it comes to cloud-based Performance Management Software, the story is no different. For that reason alone, we have written this blog to explain the many benefits for using a cloud-based Performance Management Software. The truth is, it can bring huge value to your business! What are the benefits of cloud-based Performance Management Software? Ease of use and flexibility – employees can access applications on the move via the web and the managers can respond virtually; this echoes how people want to work nowadays. No need to spend millions – infrastructure can be expensive. 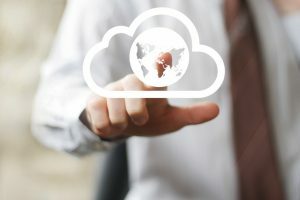 Instead you simply rent the cloud application from the provider, which means it is an operational investment rather than a capital investment on the balance sheet. It also means the software can be switched on and off as required. Speed of set up and configuration – because this is a hosted technology that is accessed independently via the web, it can be set up and configured quickly without lengthy integration. Support offered via the provider – no additional pressure on your IT department because the software is independent and support is provided directly. Security – Most UK providers of cloud-based HR software use specialist hosting providers in the UK who have security and back up procedures that are far more secure than any internally hosted software. Data is not housed on laptops which can be left on trains; it is securely backed up and accessed on demand via the web. Real-time data – the ability to access your HR data in real-time means you can add far greater value as a HR professional. This allows you to be more proactive within your organisation. Compared to paper-based processes, this can be life-changing! There are clearly many advantages to using cloud-based software such as Actus Performance Management Software. It offers a flexible and responsive solution to your HR requirements and will allow you as an HR practitioner to stop shuffling paper and focus on doing what you do best! So if you’re not already using cloud-based HR software…what are you waiting for?